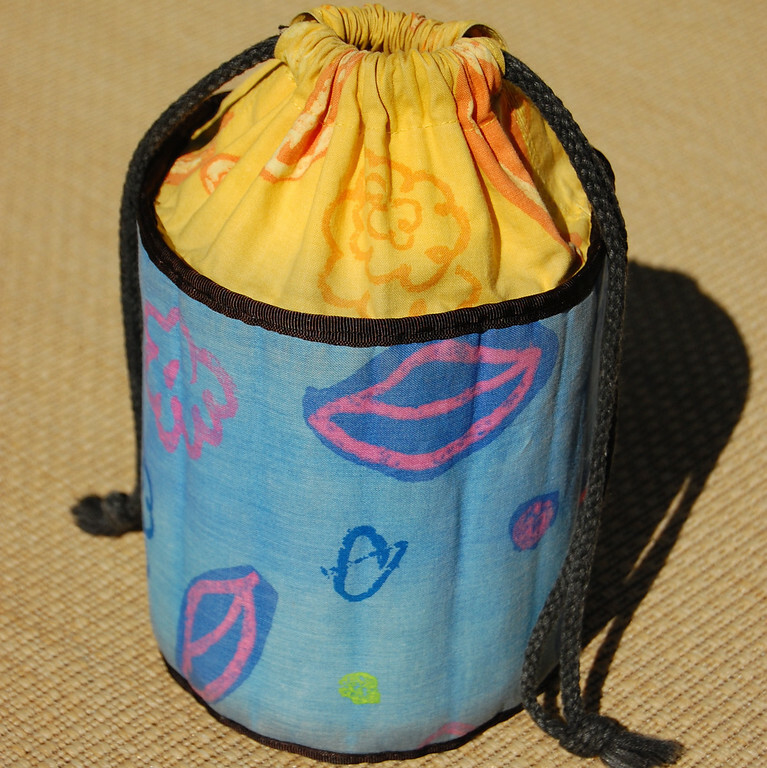 ikat bag: Lunch Bucket Pattern! 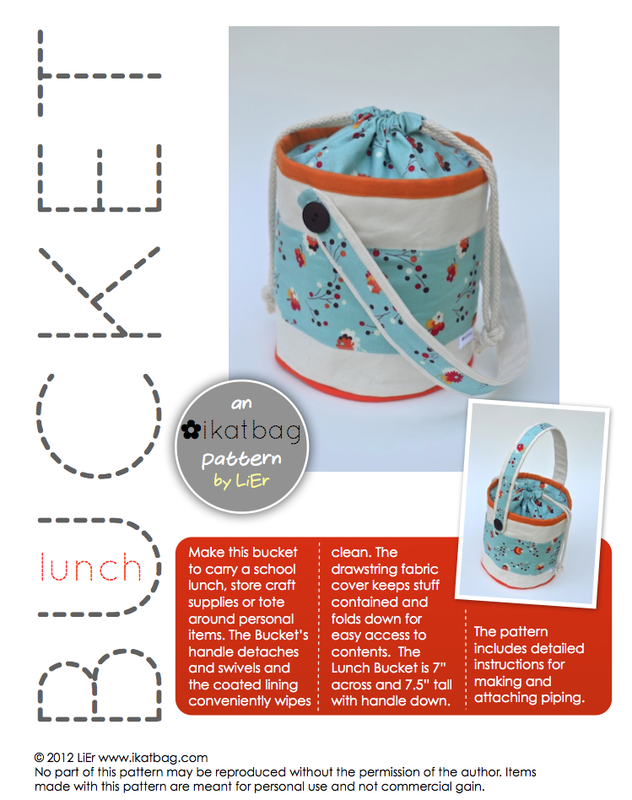 I am excited to say that the Lunch Bucket pattern is now available for purchase! First, though, a shop update. Thank you all for stopping by to buy buckets yesterday! Nine of the dozen are in the post, on their way to good homes. There are still three left, if you'd like to adopt them. Some important technical information before I tell you more about the Lunch Bucket Pattern - and this is all based on exciting personal experience with selling you my patterns in the past. 1 it is a pdf pattern. This means you get an electronic file (a document) to download and print out yourself. This also means you need a printer and a program to read pdf documents, like adobe reader. You can download adobe for free - there is a link in the Patterns For Sale page here. You will also need to supply your own letter-size printer paper. Please, please do not wait weeks for something to arrive in the post and then file a formal complaint with paypal or somebody, saying I didn't deliver the goods. I will not contribute to the histrionics by hiring a lawyer to sue you back in court but shall we agree to save ourselves the unnecessary waiting (you) and the heartache of dealing with claims department staff (me)? You will get an email link, not a package. If you don't get the email, and you've checked your spam folder, you most certainly should contact me to say so. My email is in my sidebar at left. I check my email at least 10 times a day, people, and even more often just after releasing a pattern, because I believe in Murphy's Law. The bottomline is this: if you paid for my pattern(s), I will find a way to get you those pattern files, OK? 2 it is an instant download pattern. clicked on it to "check" that it was working. clicked on it while they were reading that email on their iphones or other portable devices. clicked on it while on their work (when they wanted it on their home) computers. clicked on it to "open" rather than "save". The same fate befell them all: the file downloaded immediately and went to the wrong place and that was the end of it. Or it literally opened for them to take a look and then disappeared forever when they closed that screen. They couldn't download it again and so they freaked out. If this happens to you because you ignored my warnings, fear not. I am merciful to ye that are fallible. Just email me and we will get you the pattern again. I only ask that you not be rude or -at the very least- civil. I will not be rude back because I am not like you, but you need to remember that it was a misunderstanding, with most of the misunderstanding not being on my end. 3 it downloads best if you avoid using Internet Explorer. I am soooooooo tired of telling people this, especially since they can easily download superior web browsers like Google Chrome or Firefox for free. I am not saying those other web browsers are bug-free, or that all IE users are doomed to have failed pattern downloads, especially if newer versions of IE have fixed the bugs in question. I am saying that in almost 100% of the download failure panic emails I have received, the web-browsers have been IE. I'm just sharing statistics here, friends. Now, suppose you have IE and have no way of using anything else, fear not. Of course you can still buy my patterns. Just don't be surprised if the download hangs or crashes totally. When you try to download the thing again, it won't work, because well, see explanation above. In this case, email me. We will get you your pattern some other way. Again, there is no need to be rude. And I will not say, "I told you so" because I know you are already in hysterics. I empathize- computers drive me bonkers, too. Just remember to direct your wrath at the appropriate recipient (IE). 4 there is currently no commercial license to sell items made from this pattern for profit. 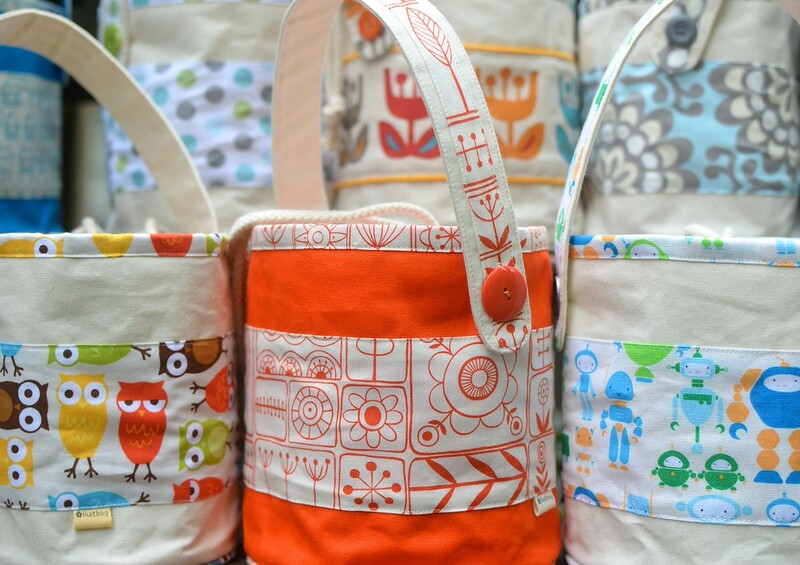 This means that by buying my patterns, you are agreeing to only use them to make items for personal use or as gifts. It says so on the cover. This does not mean I am forever not considering making a license available for the Lunch Bucket. However, there is work to be done (including forwarding drafts to a legal source etc) before that becomes a reality. If/when that license becomes available, it will be a separate thing from the actual pattern and not a package deal. This is so that you can buy the pattern first, with no strings attached, at a decent price, and try it out before deciding if it's something you want to mass-produce to the point of insanity or not (although I've done it, and it's fun). Q: What sewing level is it suitable for? sew a straight edge to a curved edge - the pattern has instructions, of course, but those shouldn't be your first experience of this technique. 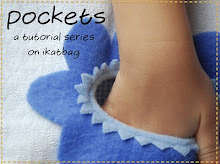 While the pattern includes detailed instructions and photos for every step of the construction, including making and attaching piping (because that's sort of a non-typical sewing skill) it will not make detours into mini-tutorials. Q: What's it like, this pattern? A: It has 18 pages of instructions, 6 pages of full-size templates (some of which need to be assembled with tape), 40 full-color, annotated photos and 2 diagrams. The price is $10. 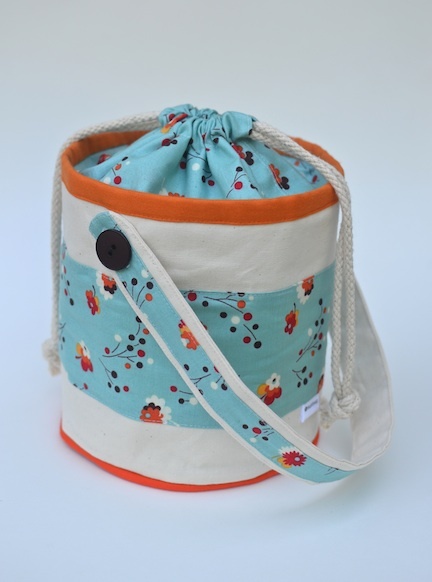 Q: Do you need a sewing machine or can I hand-sew the Lunch Bucket? A: You will need a sewing machine to make the Lunch Bucket. 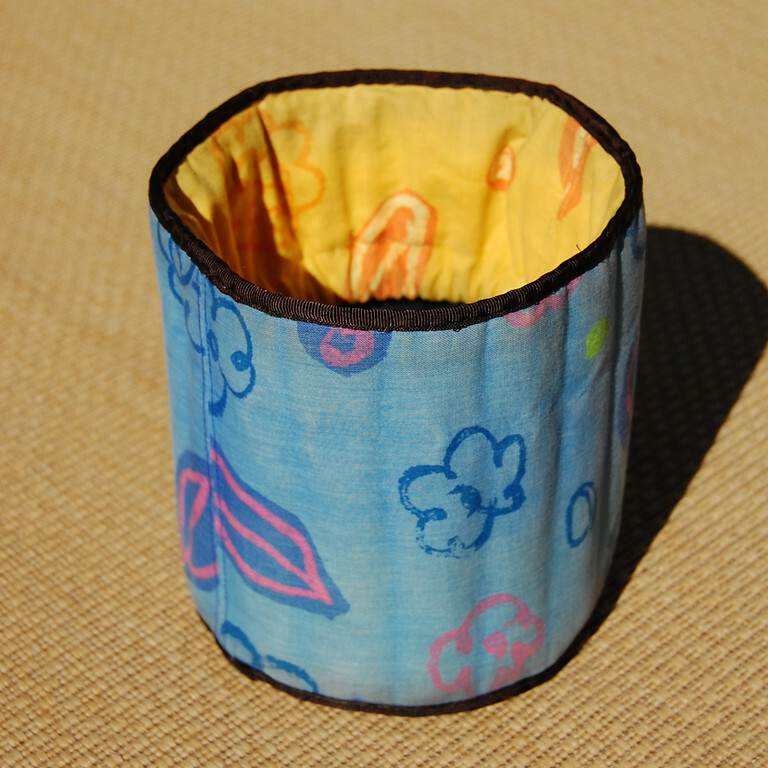 If it comes with a free arm, that's even better, but there are ways to make the bucket without a free arm, and the pattern will show you how. You will also need a regular presser foot, a zipper foot and a buttonhole foot (or hand-sew the buttonholes, or choose an alternative fastener, some suggestions of which are included in the pattern). No other special/out-of-the-ordinary sewing equipment is needed. Q: What sort of fabric should I use? Do I need any unusual materials? 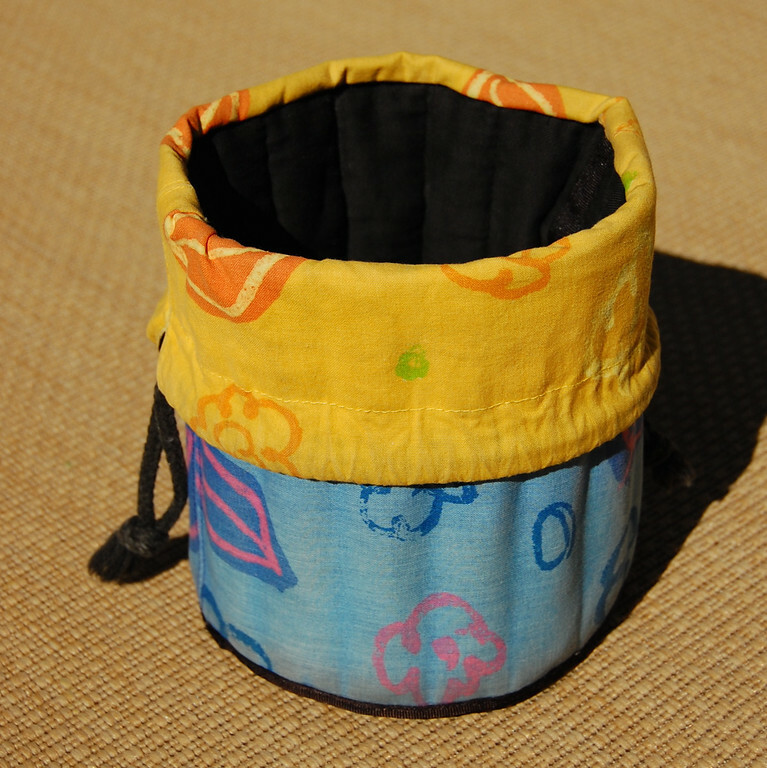 I still have -and love -my prototype bucket! 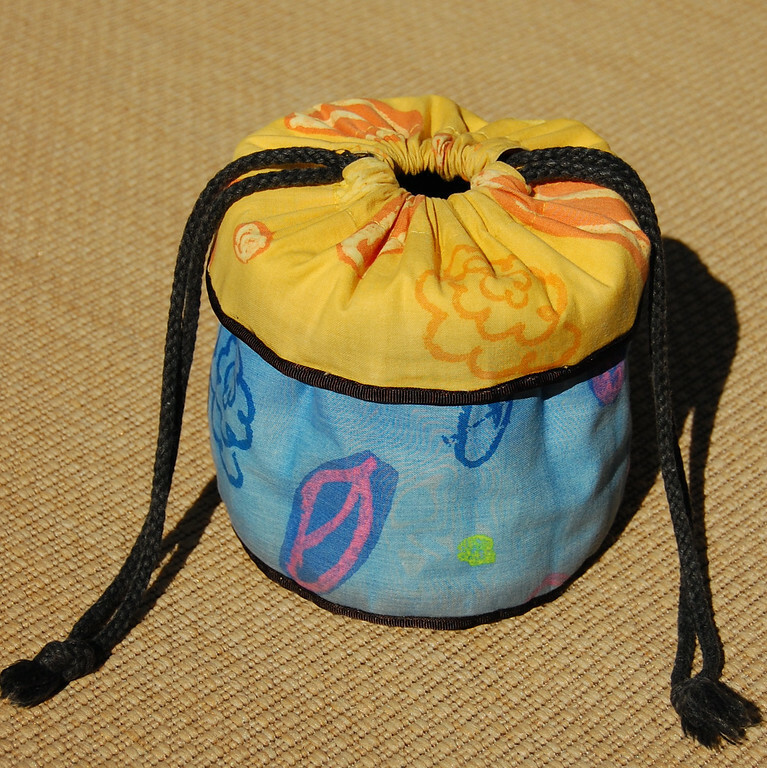 It's a little different from the modern lunch buckets in that it has no interfacing, piping or handle, and holds its shape because of a layer of 600 denier nylon packcloth and some batting. So, unlike interfacing (which creases) I could fold it and morph it without it getting softer or crumpled over time. Plus, it's waterproof. I use this packcloth in my wallets, which makes them feel like real wallets and billfolds, not homemade interfaced-fabric wallets, and I'd pick this to stabilize my bags any time over any kind of interfacing. 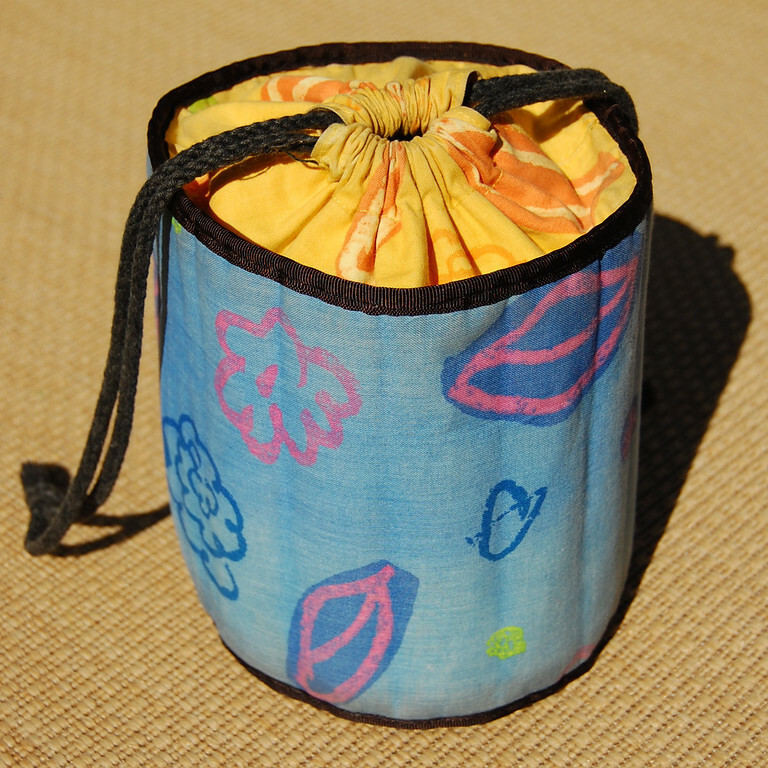 BUT I did not use it for the modern lunch buckets because it is sort of a specialty upholstery fabric that is best bought by touch, from odd, industrial-warehouse-type places most people don't pass by on their way to the supermarket. And there are so many grades and finishes (not to mention color) that I couldn't recommend online stores just based on their feeble descriptions of possibly-similar materials. Is there a point to all that? 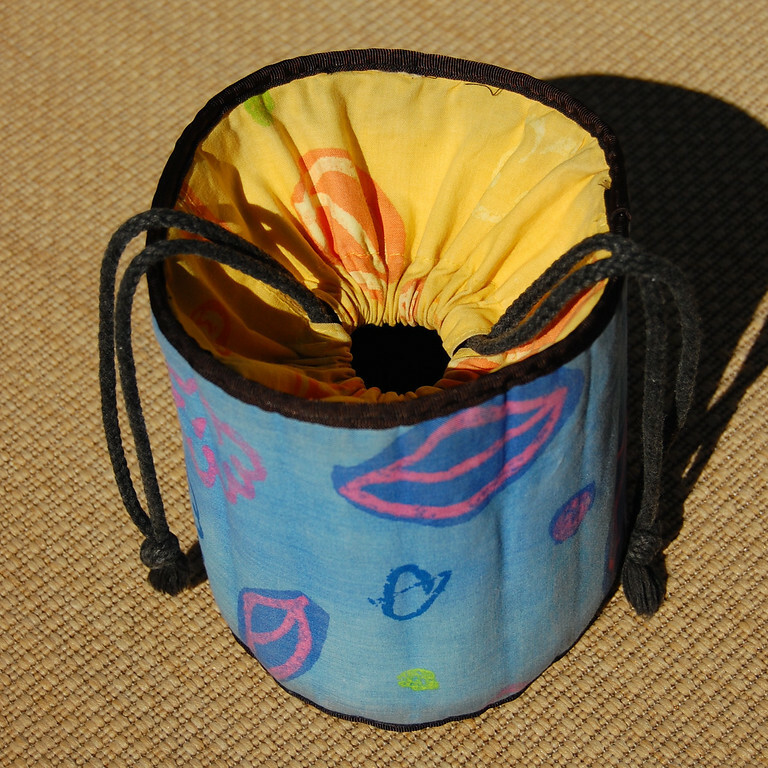 Yes - it was to say that when you sew bags and buckets, it is possible to improvise different materials to get the structure you want. You shouldn't be frightened or intimidated by what people say you should use. 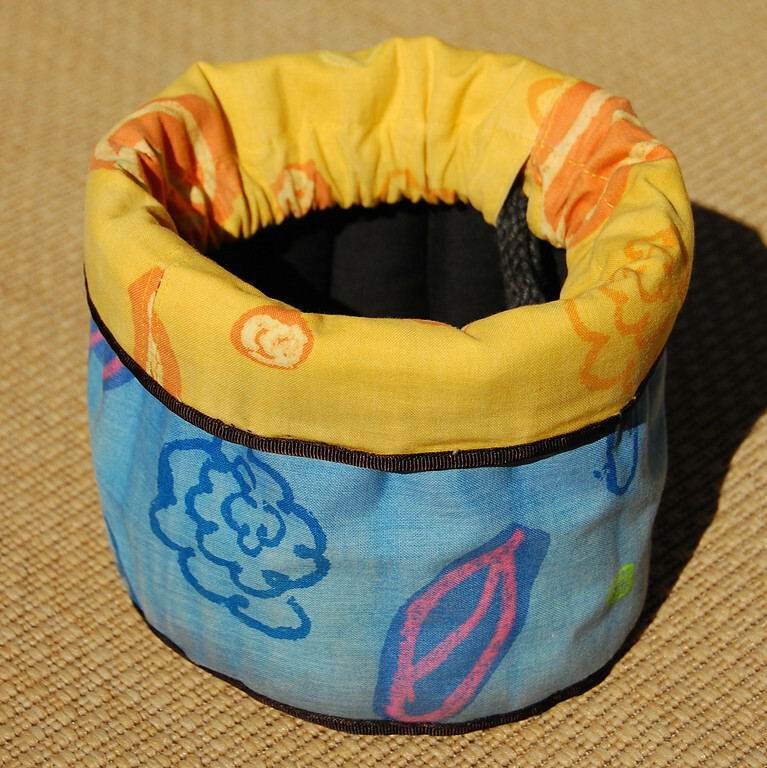 I doubt if anyone in blogland has used waterproof packcloth for their fabric buckets, or lined their backpacks with old bassinet mattress protectors, but those are the best stabilizers I've ever used for mine - certainly beyond superior to any kind of typical interfacing. So back to the Lunch Bucket pattern and the list of recommended materials: I picked materials that are easily available and familiar to most people. But it is completely possible to experiment with other materials, too. Especially if you are adventurous. 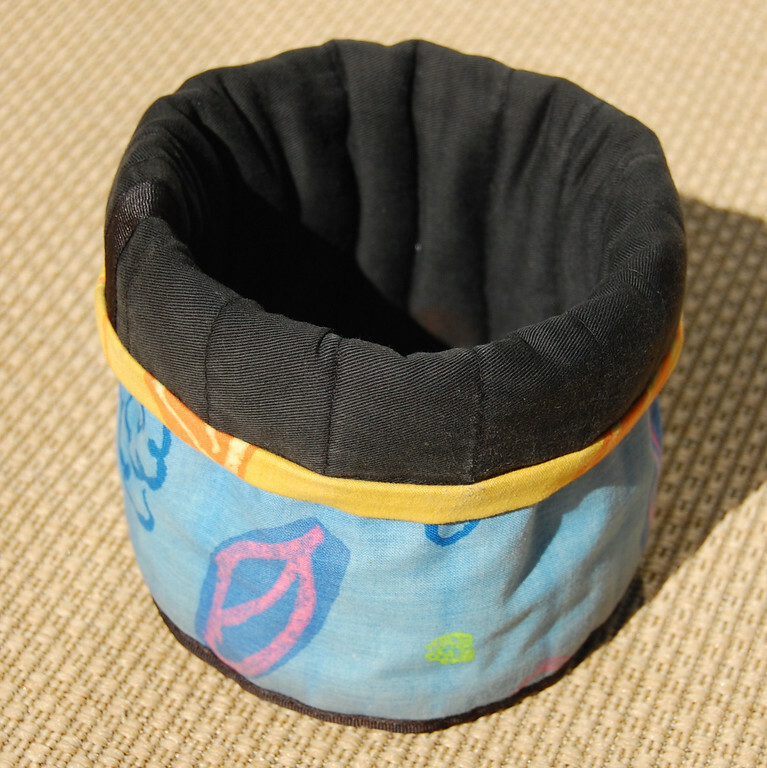 Even features of the bucket can be substituted or omitted. If you are terrified of buttonholes, for instance, you can always use something else, or sew the strap directly onto the bucket itself, for instance. And finally, the Lunch Bucket pattern was tested by my lovely friend Grandma G. Some of you might know her as the mother of Jessica Jones, the fabric designer extraordinaire who blogs at How About Orange. Grandma G is an amazing, talented, assiduous seamstress, with impeccable workmanship and a very sharp eye for detail - all things that make a good pattern tester! Thank you again, Grandma G! 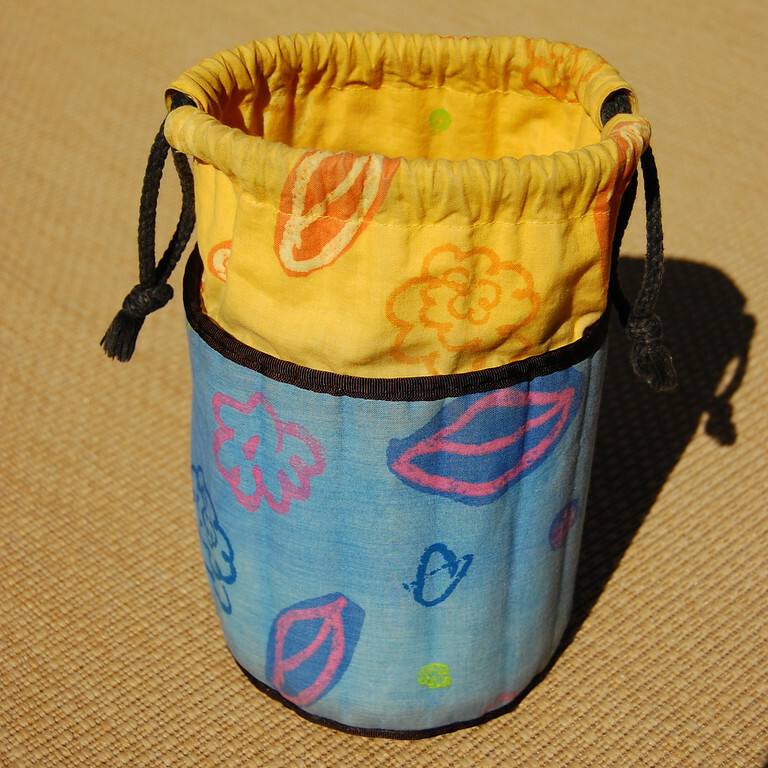 You can read her post and check out the bucket she made from the alpha version of the pattern here. So...... you're probably saying, "Shut up already and let us buy the pattern!" Right - here's the page where you can get the pattern. And guess what? All that wordy stuff at the top of that page that you're supposed to read before buying? I already made you read it in this post, so you can skip to the bit where you can go shopping! You're welcome. 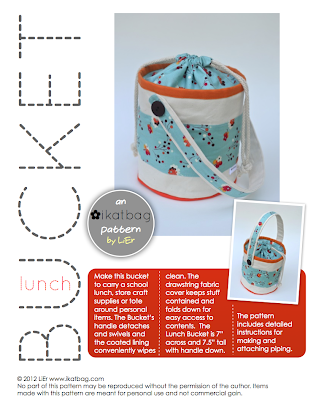 CLICK HERE TO BUY THE LUNCH BUCKET PATTERN. Again, if anything goes wrong, email me. Thank you for your kind words, and especially for asking me to be your tester. I felt privileged that you asked, and I truly enjoyed doing it! And I LOVE the Bucket!! Thanks for making the pattern! I was hoping you would. I will be buying this very soon! 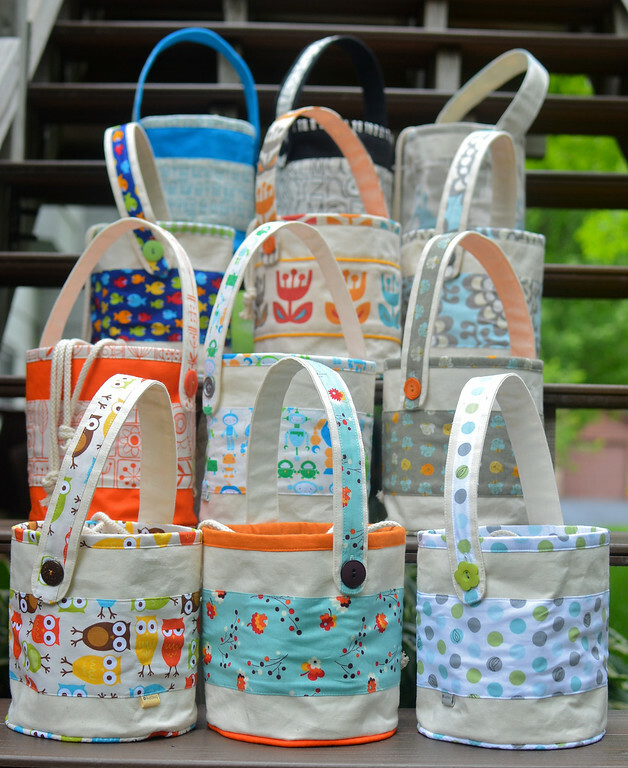 Will you be making more bags for the shop? Mine should be delivering today and I am not sure if I will be able to survive on just one! And since I recently moved, the sewing machine is still buried in a box. I am thinking I will need one for a lunch bag, a purse, an odds and ends bucket for desk, one for my daughter, my mother will surely need/want at least one and oh the list can go on and on! For $10, what a steal! 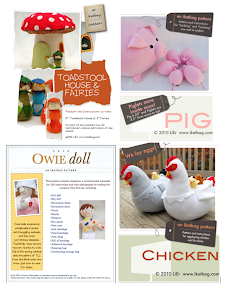 Do you have any suggestions on opening an esty shop? My bucket bag is BEAUTIFUL! Everyone needs this pattern, it really is a great bag! Thank you for your pattern. I have had no problems of downloading patterns (I have bought several) even if I´m not a native english speaker. verrrry tempted to make this! I'm going to Pin it first and think about it as I can hardly bear to think of school things at this juncture (which is what I would do with the lunch bag).